Historic Scotland has released an image showing the dramatic reconstruction of a medieval knight whose skeleton was discovered at Stirling Castle. The skeleton was discovered with nine other individuals, including two children, during preparatory work for Historic Scotland’s £12 million refurbishment of the castle’s Renaissance royal palace. All of the remains date from between the 13th and 15th centuries and were buried in what was the grounds of royal chapel within the castle. Richard Strachan, Historic Scotland Senior Archaeologist, said: “The facial reconstruction of the knight gives a powerful impression of what a warrior who died in the 1300s may have looked like. “He was a very strong and fit nobleman, with the physique of a professional rugby player, who would have been trained since boyhood to handle heavy swords and other weapons and who would have spent a great deal of time on horseback. Further work will be carried out by Dr Jo Buckberry of the University of Bradford and archaeological scientists Dr Janet Montgomery (University of Bradford) and Professor Julia Lee-Thorp (University of Oxford). Richard Strachan added that they will be able “to use the latest archaeological techniques to discover more about the lives and origins of all the people found buried in the chapel. One intriguing avenue of research will be to compare the results from the Stirling skeletons to those of soldiers found in mass graves who were killed at the Battle of Towton, the decisive clash of England’s Wars of the Roses, in 1461. Dr Buckberry, a biological anthropologist, said: “Techniques have advanced a long way since the skeletons were discovered in 1997 and we can now tell much more about where people came from, their lifestyles and causes of death. “This group is highly unusual, because of where and when the people were buried, suggesting that they might have been socially important and have died during extreme events such as sieges. 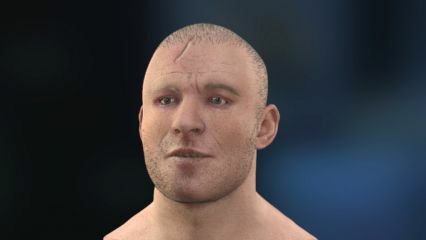 Last year Historic Scotland released details about this individual, noting that while he was only in his mid-20s he appears to have suffered several serious wounds in earlier fights. He may have been living for some time with a large arrowhead in his chest. Bone re-growth around a dent in the front of the skull suggest he had recovered from a severe blow, possibly from an axe. The fatal wound, however, occurred when something, possibly a sword, sliced through his nose and jaw. New evidence about this man, and a woman who was found buried nearby, will be revealed on the BBC program History Cold Case. A team led by Professor Sue Black, a world-renowned forensic anthropologist from Dundee University, wanted to find out how, why and when the man and woman met their violent ends. The programme website promises to show how the "forensic trail leads to a unique and extraordinary 600 year old document and the team is shocked to discover the skeleton's likely identity." This episode of History Cold Case will be aired on BBC 2 on Thursday. An academic article and public lectures are also being planned to detail the findings. Part of the project involves the creation of superb new displays telling the story of the castle through the centuries. Gillian MacDonald, Stirling Castle Executive Manager, said: “The BBC’s research, and the further investigations we are carrying out, will be an important part of the new exhibitions that visitors will be able to enjoy next spring. “They will be able to see the reconstruction of the knight, who seems to have survived many terrible wounds before finally being killed.